Welcome to another Met Monday hosted by Susan at Between Naps On The Porch! Join all the participants for great make-overs and inspiring ideas. 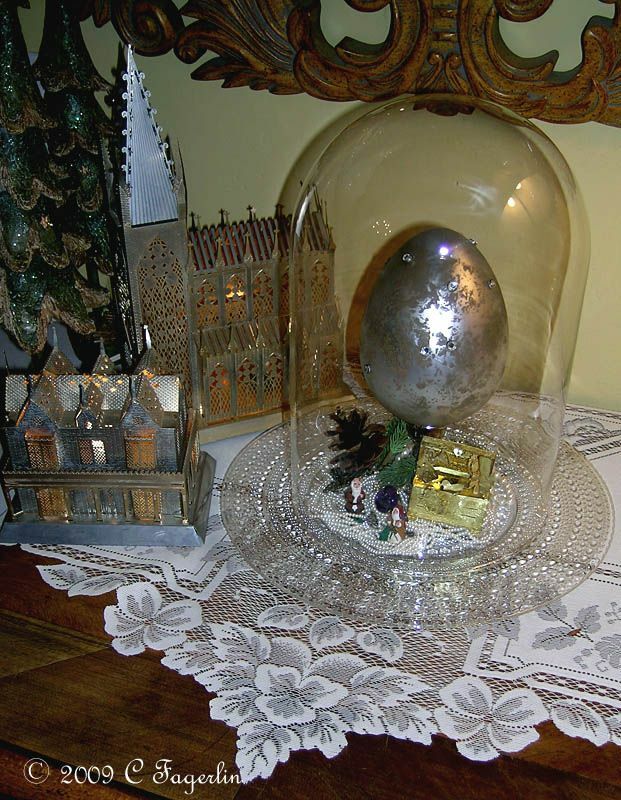 Since my search for the perfect cloche has been unsuccessful so far and with just a few days left before the holiday, I was forced to take a drastic step and pilfer the glass dome that has protected this little bear for the past 30 years. 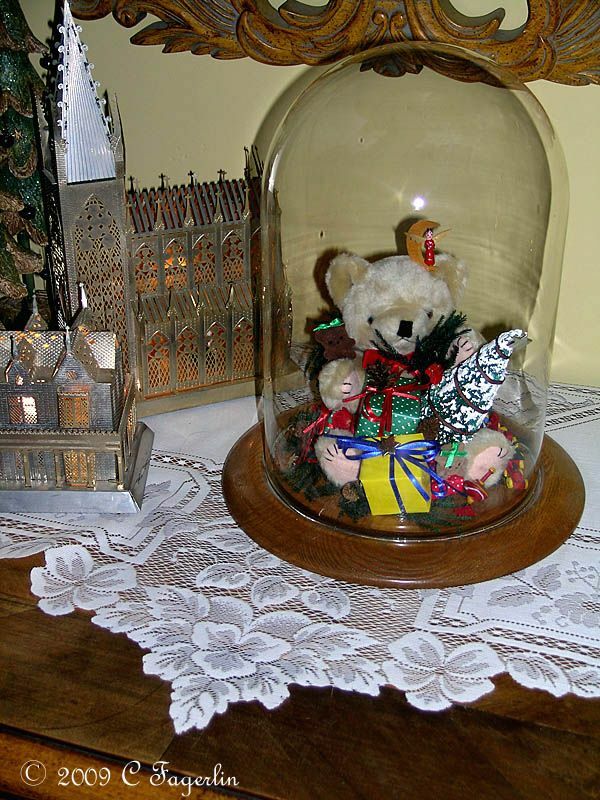 A friend and I went to a holiday class at a local nursery and we each made one of these cute domed bear scenes. Great memories ....... but I hope the little bear will shake off the upset and share his dome for just a few days. 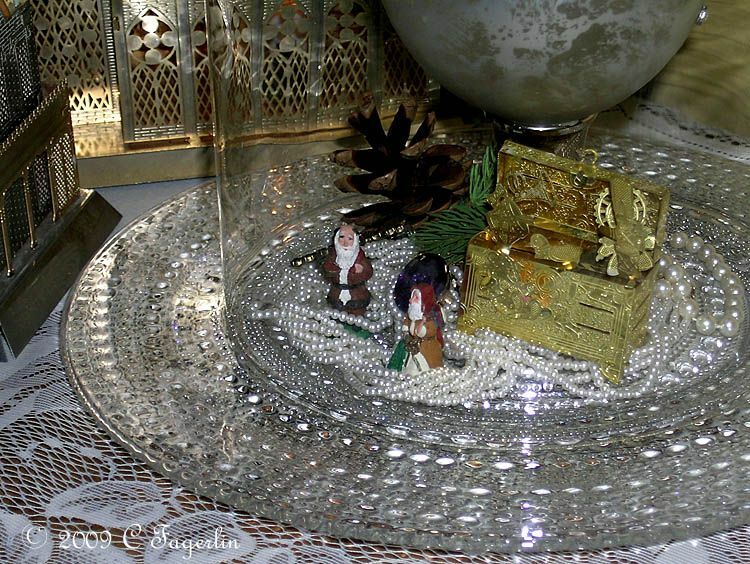 I needed something to spruce up this antique dresser and here's what I came up with using the little bear's glass dome and a Swedish cake plate. 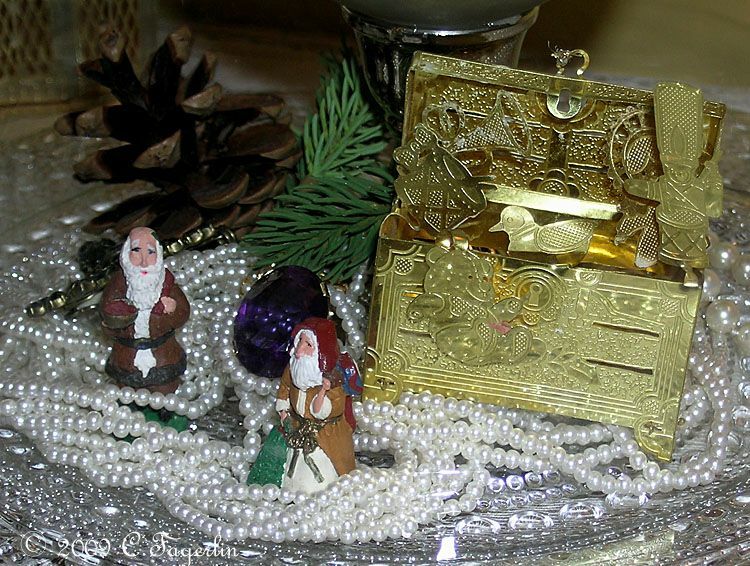 A mercury glass egg, some of my mother-in-law's inherited pearls, my mother's ring, a gaudy earring of mine from the 80s and some mini ornaments. Happy holidays to all and I can't wait to see what everyone else has come up with for this Met Monday. Absolutely wonderful! I'm curious about the silver building. Where did you get those? I love them.